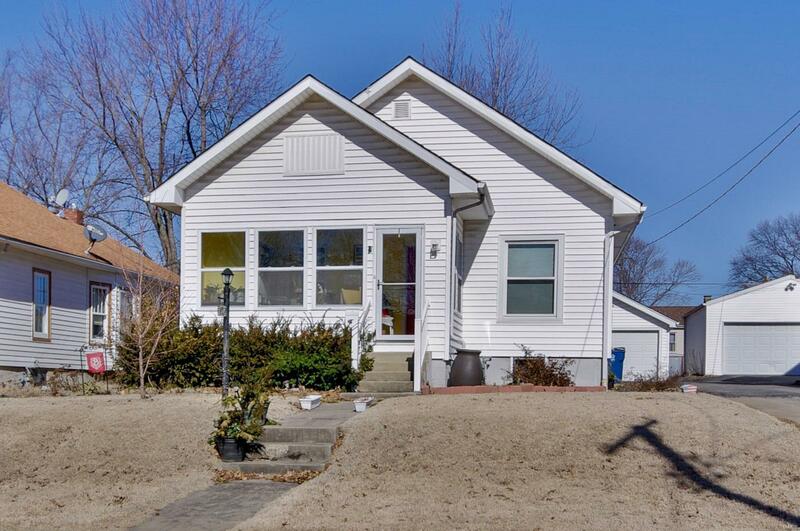 Darling home in excellent North Alton neighborhood! This is a must see! Many updates include remodeled kitchen with all stainless appliances, remodeled bathroom, newer updated windows, main floor laundry added onto remodeled 4 seasons area with new windows added! Lots of character and charm with the original wood work throughout the home! This home features a nice flat fenced lot with an over sized detached garage! Make your appointment today!